When viewing property with a view to buying its critical to be organised. This article gives you tips of what to look out for, what to ask and ideas in a checklist to save you and vendors time. It's important to have thought it through before you arrive to view the property and remember, it's your money you are spending so don't be afraid to ask direct questions about the property. 1) Before you view a house, do background research on the property and the area to avoid wasting your time, the home owner's and the estate agent's by viewing property that doesn't meet your needs. Viewing property check list cont. 2) Check travel to work, parking (or parking costs) and local amenities. 3) Viewing questions prompts - Write notes onto the property particulars of questions you may wish to ask the homeowner. 4) If possible, take someone with you, who may spot things that you miss. 5) View the property during day-light when you can see better and spot any problems. 6) Read your buyers list of important things to you before viewing. 7) Don't be late and don't upset vendors or agents - you need them at this stage more than they need you. 8) Don't show over enthusiasm for the house, it may affect your price negotiating position later. 9) However, avoid being too "cool and aloof" as most vendors want to sell their beloved home to someone they "like". 10) View carefully and take notes on the Property particulars to aid your memory later. 11) Do a quick 'once-through' to get a sense of layout and size. 12) Then go round the property slowly, considering how rooms might be changed or improved. 13) Remember the two things that can't be changed: the property's position and the light it receives. 14) Don't be seduced, or indeed put-off, by fixtures and fittings. 15) Be aware that the person selling will be showing off their most valuable asset in its most attractive state. 16) You're interested in the shell of the home - not in the lifestyle or taste of the current occupiers. 17) Watch out for irregular shaped rooms and think about how you'd use each space. Is there enough space for all your belongings and will there still be enough space in a year or two's time? 18) This is a huge decision to get right; so be sure to think everything through in a balanced and objective manner. 19) If you really like a property try to arrange to view it again at a different time of the day to give you a different perspective. 20) If it's worthwhile considering putting in an offer to buy then it's worthwhile speaking to the neighbours, investigating the area and commissioning an online home survey. 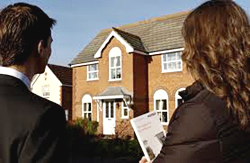 Make sure that you have thought through how to negotiate the house price before you put in your offer. 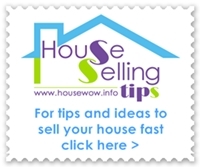 2) Don't be pressurised by the estate agent or vendor into making an offer. 3) Try not to view too many properties in one day.